Despite Synecdoche, New York (2008), Charlie Kaufman is still my favorite screenwriter. And he’s back! The Oscar-winning writer of Eternal Sunshine of the Spotless Mind (2004), Adaptation. (2002), and Being John Malkovich (1999), will be directing his second film, Frank Or Francis. NOTE: This article does discuss Charlie Kaufman’s latest script, Frank or Francis, but it does not — in any way — spoil the film. I simply introduce you to the characters and give you a general idea of what it is about. So please feel free to read without concern. The film will not be ruined for you. News regarding Charlie Kaufman‘s next film, Frank or Francis, began to circulate late last week. Variety announced the feature had already lined up Steve Carell, Jack Black, Kevin Kline and Nicolas Cage to star and described the film as a “satire of Hollywood set to music” as it “chronicles the back-and-forth between a movie director and an online blogger who berates him.” The story was then picked up by a variety of online movie news outlets saying it was about online critics. All of this is true… sort of. Buzz grew louder over the weekend and I keyed in specifically on Sasha Stone who was reading and Twittering as she read the script and then wrote up a reaction piece of her own. It was then I realized I had to read it for myself. I hadn’t read any particulars and even the information I relayed in the paragraph above was unknown to me. All I knew was it was about the film industry and it was taking it head on. And wow, it is a stunner! First off, the synopsis given is a little off and it’s not specifically about online film critics as some people have been saying. One of the central characters, Francis Deems, is more of a blog commenter than an actual critic, hating on everything and everyone he disagrees with. I would say that sense of online anger and hate is definitely at the film’s core as Francis (Jack Black) trolls online movie forums slamming most everything he comes across and/or is popular, citing films that did it better 40-50 years ago. Our first introduction to Francis is through a live online chat during the Oscars as he refers to the films of today as trite, formulaic and sentimental. It’s here we learn of his disdain for 40-year-old screenwriter Frank Arder who will be played by Steve Carell. Frank is married to an actress named Sally (in the broadest sense she’s something of a Sandra Bullock type) and meanwhile he’s having an affair with an actress named Teri (in the broadest sense she’s something of a Nicole Kidman type). Frank wins an Oscar for his latest screenplay Praxis whileThe Wind and the Rain is the night’s big winner taking home twenty-seven awards, which is the one sign I’m going to give to you that Kaufman has not created a world necessarily set in reality though it is wholly realistic. Kaufman, screenwriter of such films as Adaptation, Being John Malkovich and Eternal Sunshine of the Spotless Mind, notes in the opening of the script that “everything in this movie is slightly off.” Slightly is a good way of putting it because as I was discussing the script over email I wrote: “It reads like satire, but it’s almost non-fiction.” Kaufman has essentially nailed every dirty little aspect of Hollywood, satirized it down to its core and spit it out in a 152-page script that hues so close to reality I can’t imagine it will ever be made, at least not in its current form. Additional characters include a character Kaufman regularly refers to as “The Emcee” though his name is Alan Modell and he’s currently expected to be played by Nicolas Cage. Alan is first introduced as the Oscar host and, ironically enough, he hues quite close to this year’s Oscar host Eddie Murphy, as Alan’s claim to fame is a film called Fat Dad and his next film is Fat Dad 2: Skinny Dad. As far as I can tell, Kaufman couldn’t have chosen a better, more eccentric, actor to play him than Cage. Perfect. There’s also a Michael Bay/James Cameron-esque director Jonathan Waller whose latest film,Hiroshima (you can take it from there), is the highest grossing movie of all-time, but only manages to go home with the Oscar for Best Visual Effects. Variety incorrectly labeled Waller as the director at the center of the movie that has the back-and-forth between Francis when in fact it’s Frank that has the anonymous online spat between Francis, but I’m not going to spoil the film by going into that. In fact, the last thing I’m going to tell you is Waller has a brother, Richard (Kevin Kline), who’s something of a computer engineering wiz who has created an animatronic head (referred to in the script as “Richard’s Head” — get it?) which will also be played by Kline. When Waller arrives home from the Oscars, pissed his film lost Best Picture and only came home with Best Visual Effects, Richard’s Head has come up with an idea for his next film… No, I’m not saying anything more. The information I have just relayed takes up no more than the first 39 pages of the script and I have left several details out that make it all the better. The wit, sarcasm and jabs at everything Hollywood from the press, publicists, actors, directors, writers, etc. is absolutely spot on from noting the presumption “Toronto [Film Festival] films go on to win Oscars” to the mixture of disheveled press and an ascot-wearing film critic by the name of Grape Snow. I laughed out loud SEVERAL times while reading it and I do not read scripts. Even better, I don’t feel I’ve spoiled a single thing for myself by reading it. To know anything about this film will be to only respect and want to see it further should it actually get made as is. Oh, and did I forget to mention… it’s a musical. Making things even better, Kaufman has clearly written pieces of himself into this film, as if it wasn’t obvious just reading it, a quote where he talks about reviews of his films with Time Out London he says, “I love reading them. I have a policy that I will never explain anything in my movie because I want people to have their own interaction with it. I love that there’s a possibility of different interpretations, and I do write things with that intention.” This quote can be found almost verbatim in his Frank or Francis script. This is a film that must be made… Plenty of films are made about the film industry and plenty of them are great, but this one has the chance to be the best. I want to see Kevin James in the faux film Obese City. I want to hear bouncing rubber sounds. I want to see t-shirts with the line “Sacred to Die”. I want to see the destruction of a building unlike anything Roland Emmerich or Michael Bay have ever attempted and I want to see Hollywood embrace every minute of it. Frank or Francis tears down Hollywood and only after you tear something down can it be built back up. This may be the film Hollywood needs and it simply must be made, all 152-pages of it. The script for the new Charlie Kaufman film is making the rounds. Steve Carell will play Frank, a Charlie Kaufman-esque writer/director who is on the Oscar track at the beginning of the script. His nemesis is Francis (Jack Black), an online film blogger/commenter who pretty much hates everything and everyone but especially Frank’s work. No one comes out of this thing unscathed. He shines the cruel light of irony on the whole dog and pony show otherwise known as the Oscars, the people who pay attention to them (there is a great debate between Francis and his mom about a typical Academy best picture winner “sweeping” while a more deserving film goes unrecognized. You, dear readers, will recognize the anger in Francis’ online voice as he lays into the Academy. But of course, he looks as ridiculous as they do. Everyone looks ridiculous – everyone is out for recognition, either on a more traditional level – being a famous writer, or on a modern level: you’re a blogger so you receive some sort of notoriety. The script is brilliant, funny, dead on, sad, depressing but — did I say brilliant? It’s hard to write about it without feeling like you’re trapped inside it. Kaufman’s best flms do this to you. You feel trapped inside them and sometimes you can’t ever feel free of them. Kaufman has been able to bend the lines between reality and fiction – Adaptation and Being John Malkovich are two films that bend in and out of the art (and actors) we consume and the film’s reality, which is supposed to be our reality. In truth, you never know where you are exactly. The film is “set to music” but it really reads more like a musical, with funny songs throughout. I’m wondering how this will be used. Finally, I wanted to read the script not to spoil the movie for me (reading them early almost always does) but because I’d heard it was about bloggers and I was anxious to start in with my daily self-loathing ritual. But thankfully, it isn’t a script that seeks to point fingers. The whole game of what we all do very day is laid out for all to see. In the end, it’s a wonderful thing that there is a Charlie Kaufman at all; a writer who has absolutely elevated the original screenplay to its own art form. We will all have to wait and see how it all turns out. Anyone who watches it, though, will think twice about getting upset about the Oscars, leaving hateful comments anonymously, and the importance of “winning” in the game of judging art. 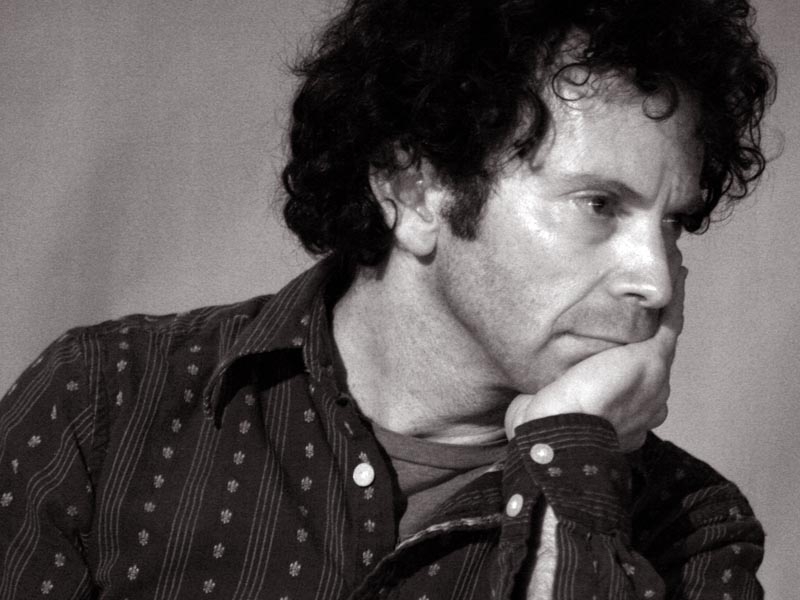 I’ve been actively writing about Charlie Kaufman since the beginning of his career and my own website. Being John Malkovich was released the very year I started my site, 1999. I’ve been championing him for 13 years. Eternal Sunshine of the Spotless Mind was practically a religion here on Awards Daily (then Oscarwatch). I’ve even met him a few times, gone to q&a’s with him. What’s funny is that when you’re on this side of things you never think people like Charlie Kaufman see you. You don’t think they listen to you or even know you exist. But Kaufman has been paying attention. He’s watched how our tiny worlds have evolved, how we talk to each other – and he’s spent time thinking about the motivations of people, the way our interactions create imaginary relationships. One of the funny things he does is have Francis (and others) always saying something is “racist” and “I want my two hours back.” I love how he repeats these words because these things to repeat themselves in long panning echoes. I feel fortunate to be writing about film, and living in a time, when Charlie Kaufman is making movies. What a privilege. What a trip. I’m be curious to see how critics and bloggers respond to it. Read more about it over at First Showing.